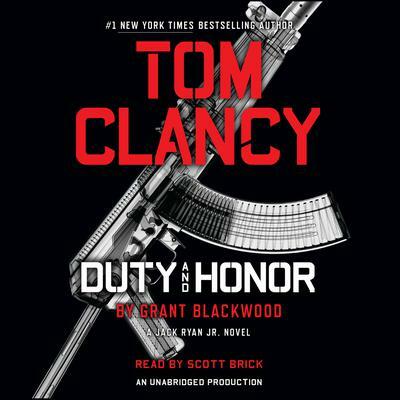 Even though he’s on forced leave from the clandestine intelligence group known as The Campus, Jack Ryan, Jr., still finds himself caught in the crosshairs after an attempt on his life is thwarted when he turns the tables on his would-be dispatcher. Convinced that the attack is linked to his recent covert actions with the convalescing Iranian national Ysabel Kashini, Jack sets out to find out who wants him dead, and why. Using clues found on the now dead assassin, Jack pursues the investigation, following a growing trail of corpses to the European Union’s premier private security firm, Rostock Security Group, and its founder, Jürgen Rostock—a former general in the German Special Forces Command. Rostock is world-renowned as a philanthropist and human rights advocate. But Jack knows him from a Campus mission revolving around a company linked to RSG—a mission that has put him on Rostock’s lethal radar. Without any Campus resources, Jack launches his own shadow campaign to uncover the truth about Rostock and a long-running false-flag war of terror that has claimed thousands of lives. Yet all of that bloodshed is but a precursor to a coming catastrophic event that will solidify Rostock’s place among the global powers. An event that Jack must stop at any cost. From the Hardcover edition.